The sidecars got the action underway at 18.27 with Dave Molyneux/Patrick Farrance first away followed by Ben and Tom Birchall, Tim Reeves/Gregory Cluze and Conrad Harrison/Mike Aylott and conditions could be seen in the lap times with Reeves quickest at 106.527 followed by Harrison at 105.324 and Greg Lambert/Kenny Cole at 105.108. Molyneux had stopped at Ballaugh with a punctured rear tyre while John Holden/Andy Winkle also pulled in at Ballacraine. However, at around 18.45 the session was stopped due a civilian emergency in the Quarter Bridge area unconnected with the racing. When it re-started at 19.15 the roads up on the Mountain had dried considerably and Holden put his early problems behind him to go to the top of the times with a lap of 111.586, followed by Birchall (111.280), Reeves (108.306), Carl Fenwick/Phil Knapton (107.586) and Frank Lelias/Paul Knapton (107.069). The newcomers were also showing well with Alan Founds/Tom Peters and Dwight and Noel Beare lapping at 101.981 and 100.951 respectively. In an incident at Pinfold Cottage that delayed the start of the solo's qualifying session, Ewan Walker and Dickie Gale were taken by airmed to Nobles Hospital. Walker sustained minor injuries while Gale was reported to have back and knee injuries. At 8.05, the solos finally took to the Mountain Course and although the light was fading and the roads on the Mountain were still damp, they were drying all the time and the Supersport and Lightweight contenders were able to get three good laps in. Guy Martin and Michael Dunlop led the field away followed by Michael Rutter and William Dunlop but Ian Hutchinson was out of luck and was soon reported as having retired. Most riders opted for their Supersport machines but Lee Johnston, Keith Amor, David Johnson, Ivan Lintin and James Cowton all took out their Lightweight mounts. 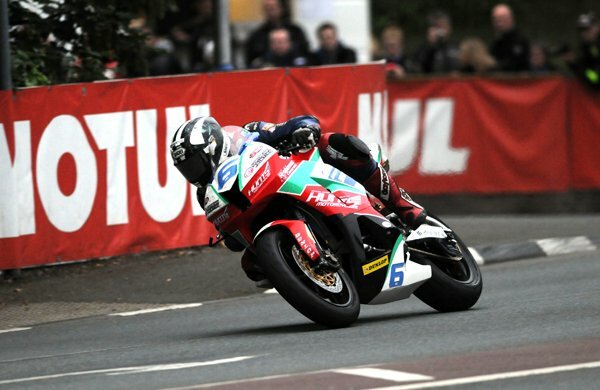 William Dunlop was quickest on the opening lap with a speed of 120.683mph with Rutter, Josh Brookes and Gary Johnson also over the 120mph mark but Brookes improved further second time around to 122.011mph. However, Bruce Anstey went slightly quicker with a lap of 122.290mph although team-mate John McGuinness’ lap of 118.039mph didn’t tell the whole story as he was the quickest rider up until Ramsey, the Morecambe rider easing off through the damp patches. Right at the end of the session though, the leaderboard changed again with Michael Dunlop lapping at 124.530mph, the fastest Supersport lap of the week, with Dean Harrison only five seconds slower at 123.886mph. Conor Cummins and James Hillier also posted 120mph plus laps. 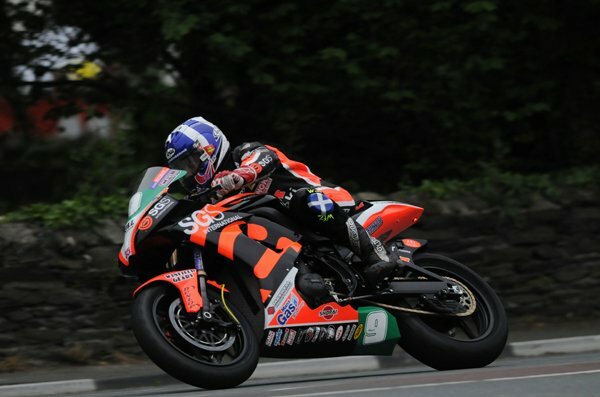 In the Lightweight category, the SGS International/KMR Kawasaki machines of Keith Amor and Ryan Farquhar were fastest, with the duo lapping at 116.206 and 115.593mph respectively as they circulated together for much of the second lap. Jamie Hamilton was also on the pace at 114.212mph and following him, in quick succession, were Gary Johnson (113.843), Ivan Lintin (113.478) and Dean Harrison (113.062). Manx GP winner Michael Russell lapped at an impressive 112.508mph to place seventh on the leaderboard. Due to the disrupted qualifying during the week tomorrow's session will now see Superbikes, Supersport and Superstock machines out between 18.20 and 20.00, Sidecars between 20.05 and 20.35 and the TT Zero qualifying between 20.40 and 20.55.